Grand and versatile perfectly describe the Santa Fe Dining Table. 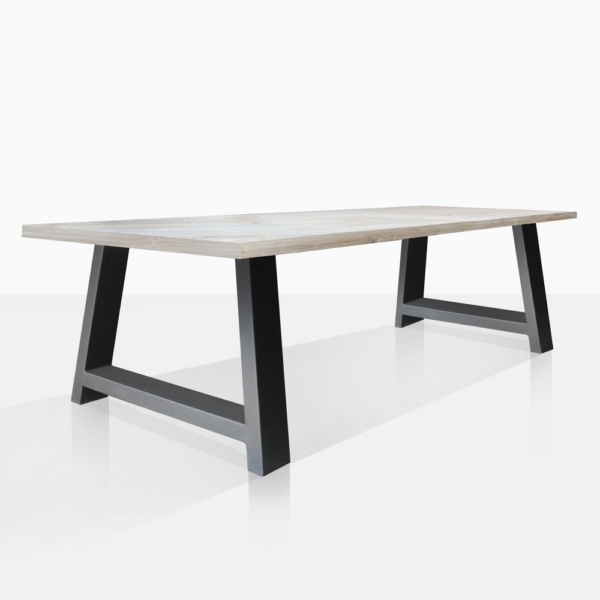 Whether you enjoy industrial, rustic, modern, or a traditional style dining table, this one will work. It combines a raw teak dining table with powder coated aluminum legs. And to create the look that you want, it all depends on the dining chairs you choose! Choose modern aluminum chairs, modern black wicker chairs, white traditional wicker chairs, or reclaimed teak chairs. The length of this table is impressive. It is strong, durable and sturdy. The teak is left raw and the grain of the wood adds a natural organic beauty. 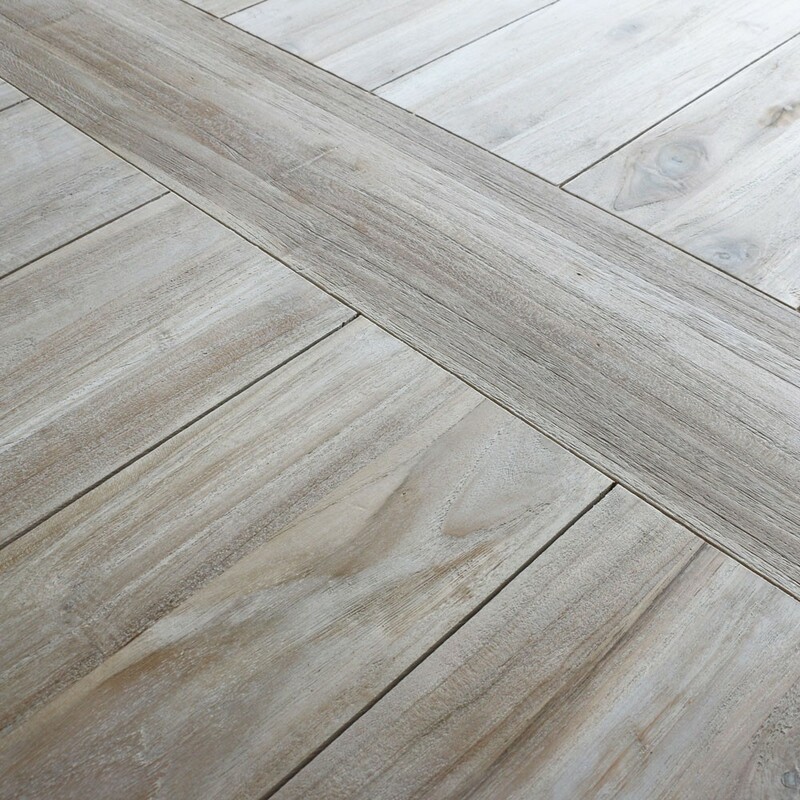 The teak will age and grey over time. You can leave it this way or have it professionally finished. 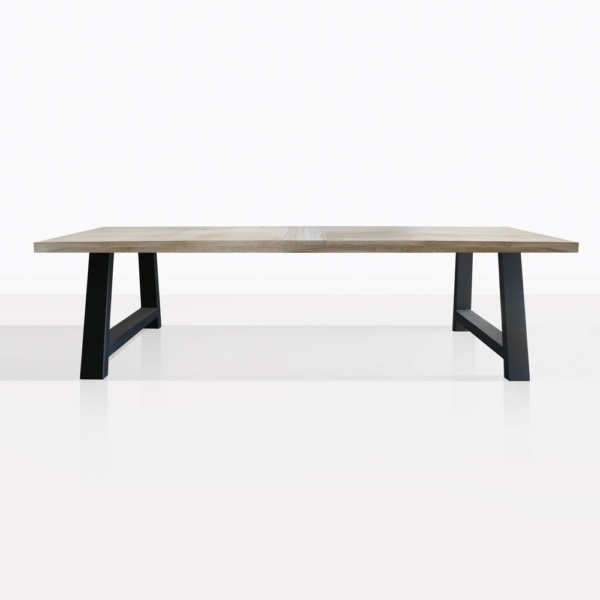 Enjoy hosting large dinner parties around the Santa Fe Teak and Aluminum Dining Table. 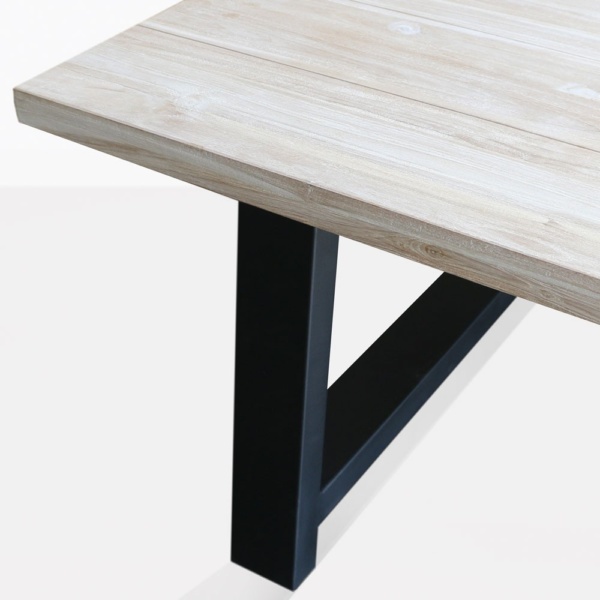 Call or email us today with any questions that you may have about this stunning table. L118.4" x W43.5" x H30"